First Pair of Socks Completed! I’ve knit socks before…just never 2 of the same one (also known as a pair, I believe!). 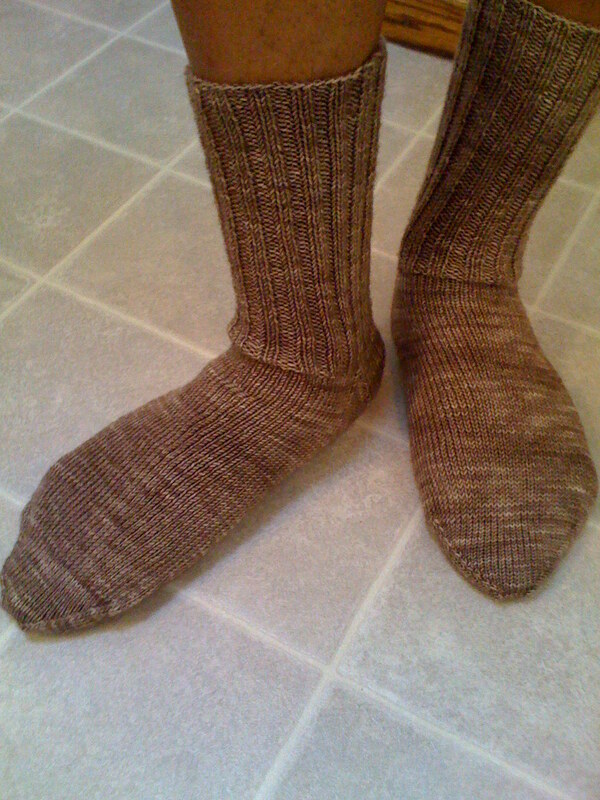 Thus, last night at Guild, I finished Sock #2 of this pretty little set. Interesting knitting irony: I made them for hubby’s birthday (which is tomorrow), but he ran around this morning saying he could not find socks (I guess I should be doing more laundry than knitting…???). Anyhoo, I whipped these babies out, and sent one happy hubby off to work in style! Previous PostMy ADD Sockette!Next PostRene’s Humane Helpers! Not surprising at all — those socks made their own serendipity.